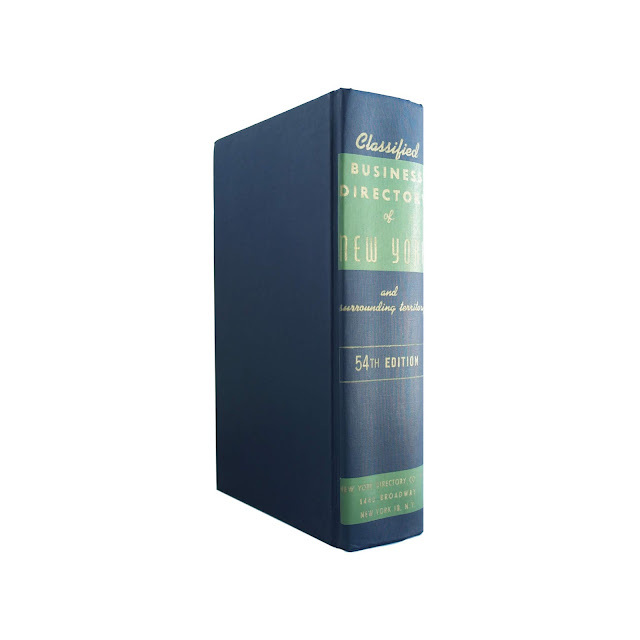 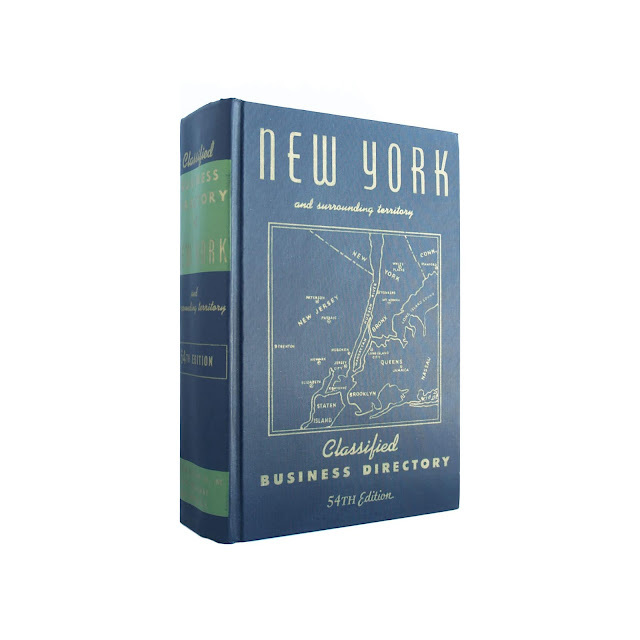 This is the 1970, 54th edition of the Classified Business Directory of New York and the surrounding areas. 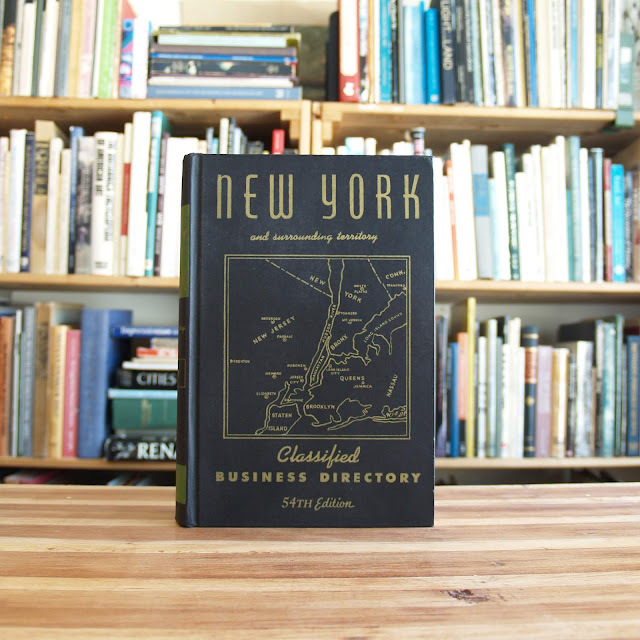 Includes businesses in the five boroughs, New Jersey, Connecticut, Pennsylvania and more. 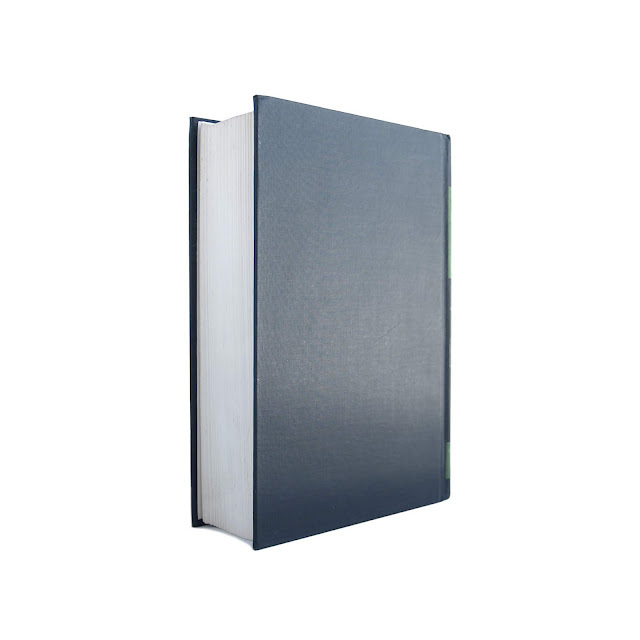 Tight copy with some soil to top edge, light wear and soil. 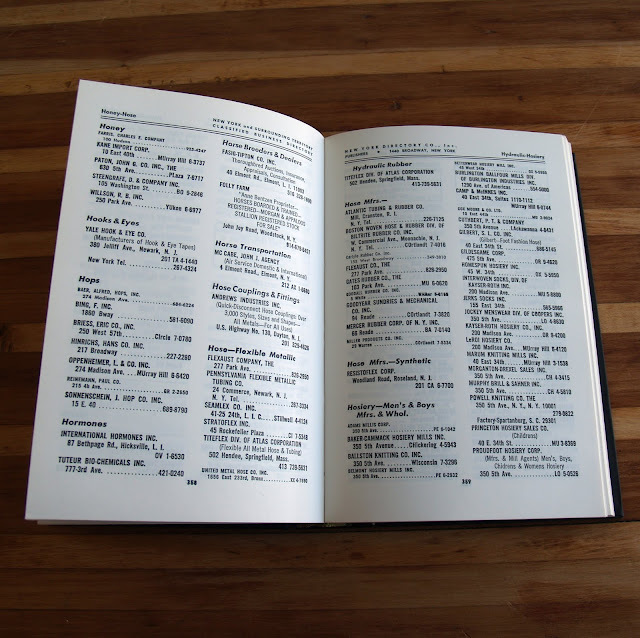 931 pages, 6 x 9 inches.